What is network disaster recovery plan? Network disaster recovery planning also provides guidelines for restoring network services and normal operations following a disaster. The plan outlines resources needed to perform network recovery procedures, such as suppliers for equipment and critical document storage, as well as the importance of maintaining off-site backups and the responsibilities of key staff members and departments in case of an emergency. The plan spells out responses unique to specific disaster events, such as a fire, flood or earthquake. 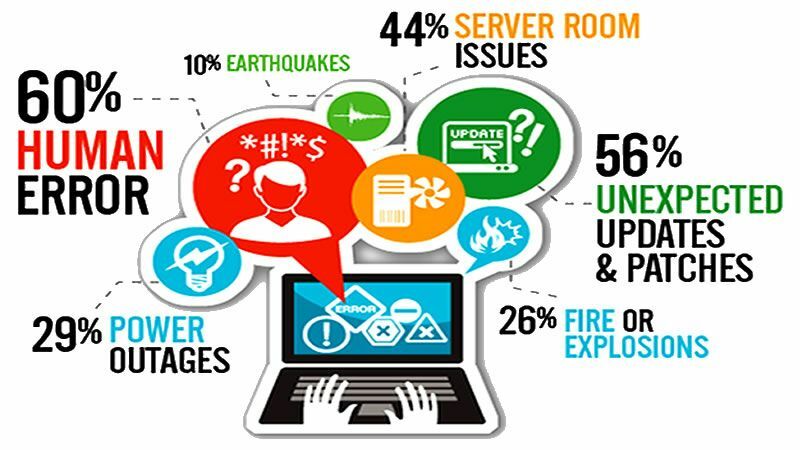 A network disaster recovery plan also identifies specific issues or threats related to an organization's network operations, including interruptions due to loss of voice or data connectivity as a result of network provider problems or disasters caused by nature or human activities. Like any other disaster recovery plan, the procedure includes information for contacting key staff members in case an emergency occurs off-hours, such as late at night or on weekends. The plan should be periodically reviewed, practiced by staff and updated as needed, since technologies or the potential threat of specific hazards could change over time. Business vulnerabilities are ever increasing and every organization is compelled to make appropriate disaster recovery plans and use advanced technology to keep its network secure and stable. Network-reliant companies find it an absolute necessity to frame disaster recovery policies and procedures to respond to the varied circumstances and problems. In any organization that prepares itself for Disaster Recovery, the three main points to be considered are Prevention, Anticipation, and Mitigation. Prevention is the act of avoiding those disasters that can be prevented. Anticipation is to plan and develop adequate measures to counter unavoidable disasters. Mitigation is to effectively manage the disasters, and thereby minimize the negative impact. Constitute a Disaster Recovery Team: The organization should form a DR team that will assist in the entire disaster recovery operations. The team should be composed of core members from all departments with representative from the top management. The team will also be responsible for overseeing the development and implementation of the DR plan. Perform Risk Assessment: A risk analysis and business impact analysis should be conducted, which includes in scope the possible disasters, both natural and man made. By conducting an analysis of the impact and aftermath in disaster scenarios, the security of crucial resources can be determined. Prioritize Processes and Operations: The organization’s critical requirements pertaining to each department must be determined with respect to data, documentation, services, processes, operations, vital resources, and policies/procedures. They should all be categorized and ordered based on priority as Essential, Important, and Non-essential. Data Collection: The complete data about the organization must be gathered and documented. It should include inventory of forms, policies, equipment, communications; important telephone numbers, contact details, and customer details; equipment, systems, applications and resources description; onsite and offsite location; details of backup storage facility and retention schedules; and other material and documentation. Creating the Disaster Recovery Plan: The DR plan should be created in a standard format that would enable detailing of procedures and including essential information. All important procedures should be completely outlined and explained in the plan. The plan should have step-by-step details of what is to be done when the disaster strikes. It should also comprise procedures for maintaining and updating of the plan, with regular review by the Disaster Recovery team and top personnel of the organization. Testing the Plan: The developed Disaster Recovery Plan should be tested for efficiency. Testing provides a platform wherein an analysis can be done as to what changes are required and make appropriate adjustments to the plan. The plan can be tested using different types of tests such as Checklist tests, Simulation tests, Parallel tests, Full interruption tests, etc. Developing a good IT disaster recovery plan will enable organizations to minimize potential economic loss and disruption to operations in the face of a disaster. It will aid in organized form of recovery, ensuring that the assets of the organization are secure, and pave way for business continuity in the most resourceful manner.